Given the volatile nature of the world we live in, it is prudent to prepare yourself with a basic supply of food, other necessities, and money—in case of an emergency or a change in life situation. When you hear “emergency,” you probably think of a hurricane, earthquake, or other natural disaster. Maybe you think about the possibility of a terrorist strike or civil unrest. For such possibilities, it is important to have a supply of food, water, clothing, fuel, and some cash on hand. These supplies will take care of your family until commodities and services become available again. But another reason to prepare is for unexpected expenses or an unexpected reduction in your income, such as losing your job, having reduced work hours, or becoming sick or having an accident that prevents you from working. In these cases, you will be grateful you have a basic supply of food and other necessities to last until you are able to work again or have the unexpected expenses paid off. To provide for your family in case of a disruption in your income, a common rule of thumb is to have an emergency fund that could cover all your expenses for three to six months. Begin by saving a little money each week and gradually increase it to a reasonable amount. Plan as part of your family budget a percentage of your income to deposit into a savings account. Whenever you happen to receive extra income, put the money in savings rather than using it to buy furniture, electronics, or other less necessary items. It takes objective thinking to separate wants from needs. Determine if items are essential or simply nice to have. Today’s society is becoming nearly cashless. It’s possible to conduct nearly every financial transaction electronically. However, it is important to keep some cash on hand for emergencies. If the electricity is out, stores will not be able to charge a bank card and you’ll be glad you have some cash. There is also the possibility of widespread problems with our financial systems. A terrorist attack or a technical malfunction could make your bank funds unavailable for some time. If someone stole your identity—and the money from your bank account—you could be without funds until the problem is resolved, which could take weeks or months. 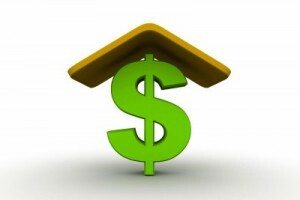 For any of these reasons, it is prudent to keep a supply of cash at home that could cover your needs for a short time. Smaller bills would be more helpful than larger bills in an emergency to buy things such as food and water because stores or neighbors may not have enough cash to make change.